News of FCA allegedly using software to allow excess diesel pollution broke in January. And the word from Bloomberg is that if talks between the EPA and FCA don’t go well, then the U.S. Justice Department will sue the automaker. Unnamed sources told the publication that a lawsuit could be filed as early as this week. The suit being prepared alleges the company used illegal defeat devices, one of the people said. Such devices — software in computerized systems — improperly disable pollution controls to enhance performance. Volkswagen AG admitted in 2015 to using defeat devices that turned on emissions controls to pass tests but turned them off during driving. The alleged violations carried potential penalties of up to $44,539 per vehicle, then-EPA enforcement chief Cynthia Giles said at the time. That translated to a penalty of up to $4.6 billion based on the number of vehicles involved. We’ll see how this shakes out. It doesn’t seem like FCA is planning on going quietly. 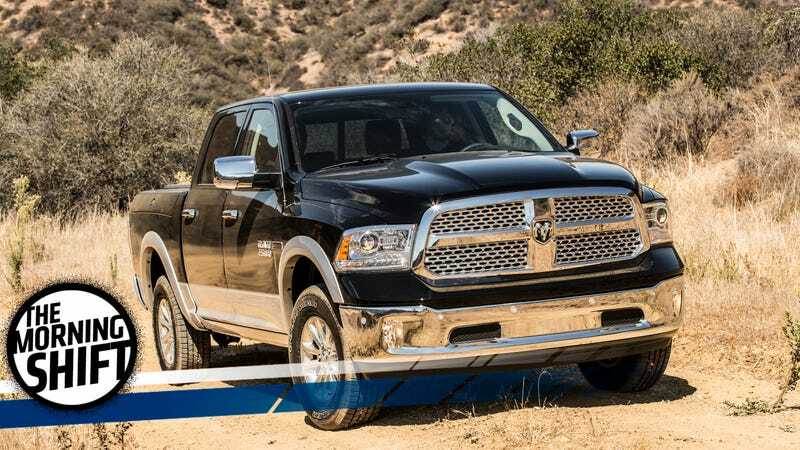 The EPA investigation that blew this whole thing open in January reported that diesel V6 Jeeps and Rams had at least eight “auxiliary emission control devices” that FCA supposedly did not make the EPA aware of. The cheats functioned similarly to those from Volkswagen’s Dieselgate, where NOx tailpipe emissions varied between real world usage and laboratory testing. The feds have been extra vigilant about this sort of thing since the Dieselgate scandal broke, but remember, there’s a new sheriff in town when it comes to the EPA these days. Despite so many of our current cars having 500- 600- 700- 800-horsepower engines, they aren’t the dirty, filthy and polluting things that they once were 40 years ago, according to Bloomberg. And that’s because we got smart about them. Without a doubt, federal regulations helped drive this trend. But, engineers were able to innovate upon existing technology. As a result, we now have things like cylinder deactivation, direct fuel injection and lighter, weight-saving materials to work with. The Bloomberg story has a bunch of cool charts it pulled together from data from the EPA. Head over there to check them out. I feel like the last thing you’d want to do after you were the root of the Dieselgate scandal is to misbehave during the aftermath. Audi, according to Reuters, has promised “no more misconduct” on its long road to redemption. Hey, we’re on the same page! “We will continue until the job is done,” Audi CEO Rupert Stadler said on Thursday, pledging to make law and ethics “the ultimate benchmark” for Audi’s future actions. I mean, yeah, what else are you supposed to say, buddy? Sales weren’t so hot in South Africa or India for GM, so it’s planning to stop selling cars there by the end of 2017, reports the Detroit Free Press. It’s a pretty typical move for GM at this point to withdraw out of places that aren’t working out well for it to focus instead on more profitable parts of the world. The Detroit automaker said early Thursday that it will transform its business in India into an export-only operation and will sell its operations in South Africa to Isuzu. GM said it will stop selling its Chevrolet brand in both markets by the end of 2017. That makes the whole Venezuela thing seem... convenient, doesn’t it? Not pointing any fingers here, just looking at the facts. Emphasis mine, because that is a radical, fundamental shift from the way GM did business for decades. A GM focused on profits and smart decisions! Imagine that. North America and China are among the most profitable markets, so that’s where GM will be putting most of its effort. There are autonomous cars and EVs to be dealt with. 2020 is the deadline that Ford has given itself to bring us its first fully electric and long-range car for the masses. AND! It will have over 300 miles of range, according to Business Insider. “Our plan is for it to be an affordable vehicle, a mainstream model. To get electrification volumes where we would all like them to be we have to make sure we make the affordability targets or otherwise they are going to stay as a niche item or a pure luxury item. Ford faces some stiff competition, though; specifically, from the Chevy Bolt and the upcoming Tesla Model 3. Neutral: Is GM Making The Right Moves? Is Mary Barra’s common-sense approach working, or do you miss the miserable old GM and its inept world takeover plans?